Official Timetable for 2017 WAEC Examination. Becoming useful and prominent in life has been the dream of everybody, both young and old; and education is seen as the only medium to achieve this. Consequently, every year, students sit for the West Africa Senior School Certificate Examination (WASSCE), a prerequisite exam for gaining admission into any tertiary institution of their choice where they can undertake their different degree programmes. This year will no doubt showcase another set of youngsters who are resolute to achieving their dreams by sitting for the 2017 WAEC examination. If you are one of them, I am pleased to tell you that the timetable for the examination is out. 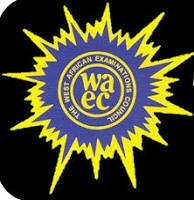 The West African Examination Council (WAEC) has officially rolled out the time-table for the 2017 West African Senior School Certificate Examination (WASSCE) which is usually scheduled for May/June. The Exam which commences on Monday, February 20, 2017, will officially end on Friday, May 12, 2017. I wish all students sitting for this examination, "SUCCESS!"